Feeding time: a blow fly digs its proboscis into a flower. I was trying to think of a snappy play on words between “blow fly” and the current weather, but it just didn’t seem fair to the blow fly. 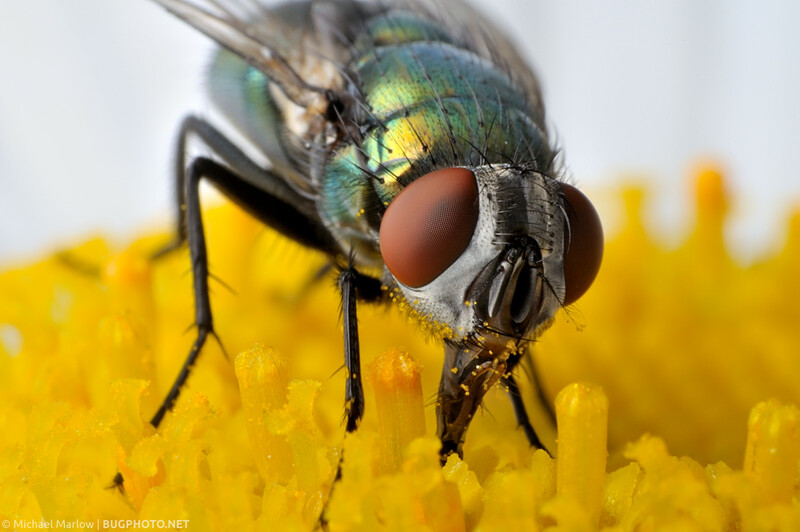 So it’s just a simple portrait of a common fly. Posted in DipteraTagged blow fly, bug face, bug portrait, Calliphoridae, Macro PhotographyBookmark the permalink. Ever seen a Skipper Fly?